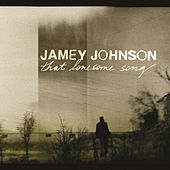 Jamey Johnson's knack for storytelling is second only to his deep, buttery baritone -- and both are used beautifully on his sophomore effort, That Lonesome Song. Gone are the redneck anthems that dotted his debut. In their place are songs of loss, growing pains and morning-after regrets, and Jamey coos through them all. "High Cost of Living" is a "Sunday Mornin' Comin' Down" for the new millennium, while "Place Out on the Ocean" is a crisp, mid-tempo number about having it all but having no one to share it with. "Women" shows that, through it all, Johnson has kept his sense of humor. 2008 Mercury Records, a Division of UMG Recordings, Inc.